Qualcomm’s planned purchase left the $32 bln chipmaker in stasis for nearly two years. With the deal’s failure, its shares have fallen back to trade at a 30 pct discount to peers. NXP’s stand-alone story may be partly forgotten, but it’s well placed to hand investors a windfall. 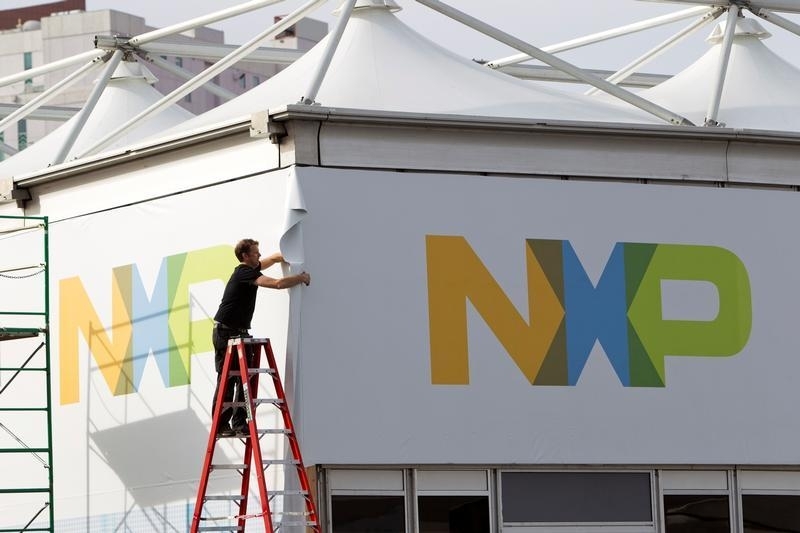 A man works on a tent for NXP Semiconductors in preparation for the 2015 International Consumer Electronics Show (CES) at Las Vegas Convention Center in Las Vegas, Nevada January 4, 2015. NXP Semiconductors will hold its annual investor day on Sept. 11. On July 26, rival Qualcomm said it had called off its $44 billion deal to purchase the chipmaker. Qualcomm paid a $2 billion break fee to NXP following the deal’s termination. Qualcomm and NXP announced the acquisition in October 2016.